M36 (NGC 1960) is a bright star cluster in the constellation of Auriga. With a magnitude of 6.3 it is barely visible to the naked eye. Charles Messier included it in his catalogue of nebulous objects in 1764; it had certainly been spotted with the naked eye well before. It is 4000 light-years away and extends over 14 light-years giving it an apparent diameter equivalent to half a full Moon. This young cluster is only 25 million years old and is composed of about sixty stars of which the spectra show that some are rotating very quickly. 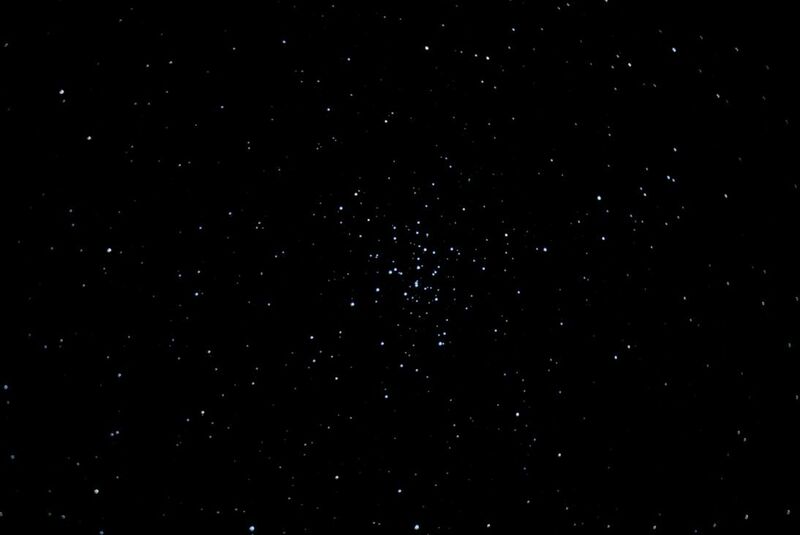 Like M37 and M38, M36 is easy to observe with a pair of binoculars.